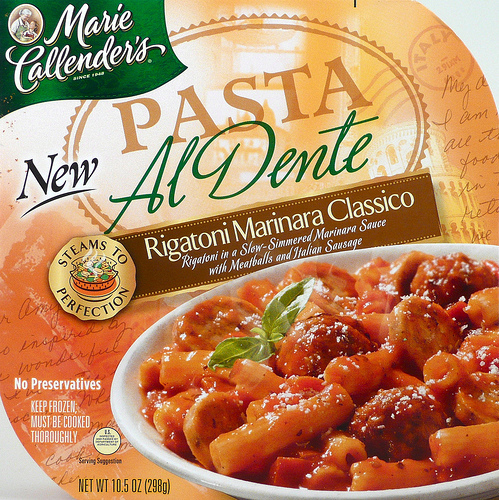 This post is filed under Frozen, Marie Callender's, Meatballs, Microwave, Pasta, Sausage, Tomato Sauce. Looks like the only thing worth eating from Marie Callendar’s is the chicken pot pie. Everything else is either brown, gritty and bland or disgustingly cheesericey. 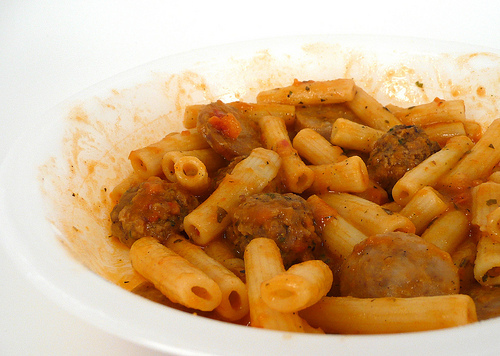 Those pasta al dente ones are hard to come by with what’s good. I seriously suggest NOT getting the Creamy Basil Chicken one. The skin on the zucchini in mine was so hard I felt like I was chewing on cardboard, and then it was attached to some kind of goopy mess that used to be a vegetable. Have you ever done a Zatarains? Eww. It looks so good on the box. That’s disappointing.